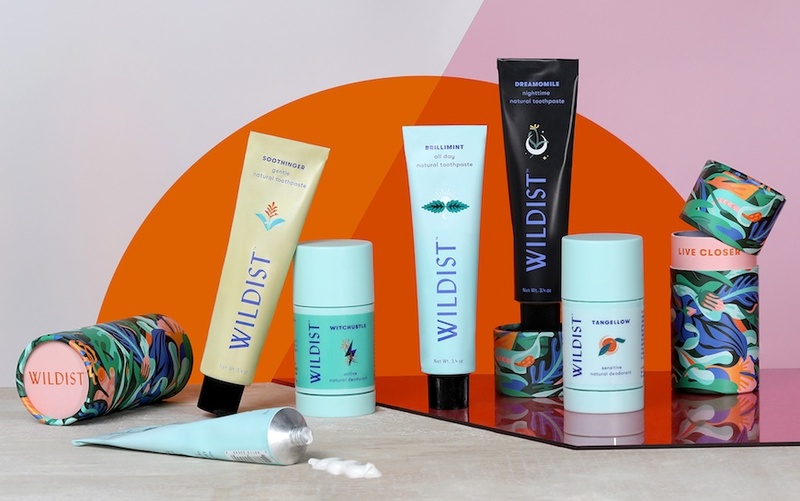 First laying eyes on Wildist, the new natural essentials line (so very new, in fact, it launches today), the swirling hues on the protective paper tubes bring to mind images of coveted Gucci florals or the just-right colors of a Kenzo print. For sustainable packaging, this is high fashion. 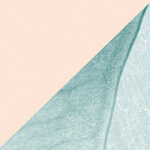 “Our creative director, Erin Rommel, is so talented and did it all in house, along with all of our custom illustrations, color and art direction—she deserves all of the credit,” enthuses Aaron Paas, Wildist’s founder who counts himself as one of seven employees (five female) operating out of a design and photography co-working studio in Brooklyn. The tightly edited line of essentials is American-made, with ingredients sourced from all over the world—and for Paas, they’re the real stars of the show. An obsession with surprising blends—think a lullaby of nighttime toothpaste made of charcoal and chamomile, or an ultra-hydrating tangerine and wintergreen deodorant that smells like a minty fresh orange fountain soda in the best possible way—is just the start. And it’s all in the details, like using BPA-free, 100% aluminum tubes that can be thrown into curbside recycling bins (instead of landfills like mainstream laminated versions), or shipping products in reusable, resealable bags and those handsome cardboard tubes instead of bulky boxes. For the beautifully printed bags, they can serve as a TSA-friendly dopp kit, while the cardboard packaging feels more collectible than disposable, anyway. “We’ve even seen a couple reborn as succulent planters!” he says with a laugh. The team even built an ingredient encyclopedia on their site, with chemical drawings to boot, to make understanding the recipe components even easier. “You can dig into every single ingredient we use in our products (even water!) and learn about what it is, and why we use it.” In a beauty-centric space where natural is the new normal, Wildist’s come-one-come-all informative attitude feels refreshing—even fun? “We’re indignantly optimistic about the world we can all create together, if we try hard enough,” says Paas. And with that, he guides us through the line’s handful of sparkling new launches, and why they’ll make your day better, from alarm buzz to bedtime. Familiar, but unexpected. Packed with both peppermint and spearmint essential oils for a refreshing flavor, and uses the hardworking combination of baking soda and silica to remove plaque. Brillimint isn’t satisfied to just be a great mint paste; it also has white tea, ginseng, and goji berry extracts that add complexity to the flavor and energy to your morning routine. Yes, nighttime toothpaste. This uses the stain-absorbing power of activated charcoal to whiten your teeth while you sleep. The chamomile extract gives it a completely unique flavor, and helps you wind down through your nighttime routine. These two amazing essential oils not only give this gentle paste anti-inflammatory powers, they also provide a deep, earthy flavor that will leave you devastated by the decades you’ve wasted believing that mint was the only way to fresh breath. Natural deodorant is not hard to find these days, but finding a good one is still like looking for a needle in a haystack. Keeping you smelling great, not staining your clothes, and reducing wetness were all tests that Tangellow passed—to make it standout, we wanted to also make this deodorant a moisturizer. You’re applying it every day to some of your most delicate, sensitive skin, so adding witch hazel and shea butter was a no brainer. It’s packed full of our odor fighting trio of hops, neem, and ferment keep bacteria in check, and is blended with the skin-moisturizing delights of witch hazel and shea butter to keep things silky smooth. The tangerine, sweet orange, lime, and wintergreen work together to gently lull you into sweet citrus heaven. And don’t worry, we know that over 40 percent of you are very sensitive to baking soda, so there’s absolutely none to be found here. Instead, this stick uses tapioca starch to keep the wetness at bay. The fragrance of rosemary, lemongrass, and grapefruit is bold and nuanced all at the same time. Witchustle has the same odor fighting and moisturizing ingredients as Tangellow, with one key addition: baking soda. During testing, three people independently asked for us to make a candle with the same scent as Witchustle—you know you’re onto something when people want their whole house to smell like their deodorant. In other beauty news, apparently IV drips are the new beauty supplement and this is how to rehab your lipsticks that melted on the beach over the summer.